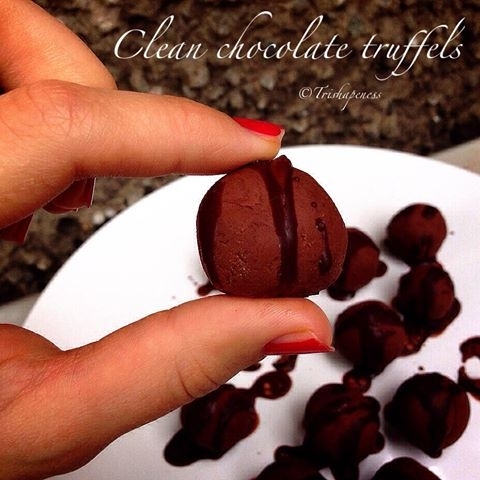 Amazing chocolate deliciousness, healthy and guilt free chocolate treat and easy cheasy to make! Mix the beans with a handblender or put it into the food processor. Melt the coconut oil in the microwave and add the cocoa, agave and the coconut oil to the beans. The mixture will be very sticky, so put it into the fridge for 10-15 minutes and it will be easier to form the balls afterwards. Roll them in shredded coconut or, like I did, drizzle with some chocolate sauce (coconut oil, honey, cocoa). Put into the freezer for a while and enjoy afterwards! Store in fridge.